Well, I found a cowl that I really liked and wanted to make. As usual, I made a few “tweaks” to the pattern, and by “tweaks” I mean I COMPLETELY CHANGED IT. 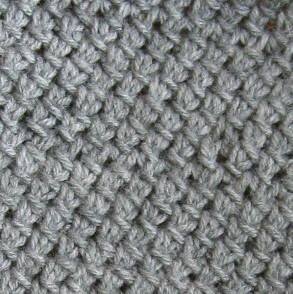 It’s the Amanda Cowl and it’s knit in the round with a lovely stitch pattern. and it is biasing like crazy. Guess I should have kept this particular stitch pattern in the round. Guess the designer knew what she was doing when she wrote the pattern, eh? It’s intended for a gift. If it doesn’t block well, I can always sacrifice (cough-cough) and keep it for myself. 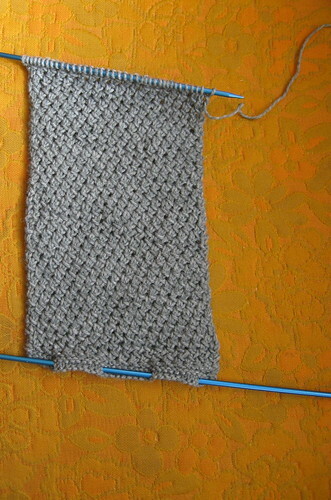 This entry was posted on Saturday, December 10th, 2011 at 11:38 am and is filed under Cowls, My Projects, WIP. You can follow any responses to this entry through the RSS 2.0 feed. You can leave a response, or trackback from your own site.